When David George Gordon talks about eating insects, he doesn’t mean a few chocolate-covered ants or some roasted grasshoppers. He’s way beyond that. On Aug. 8 and 9 at the Academy of Natural Sciences of Drexel University, the author of the Eat-a-Bug Cookbook will whip up scorpion scaloppine, deep-fried tarantula, and other dishes that even the most adventuresome eaters might find challenging. He’ll nevertheless be offering tastes. 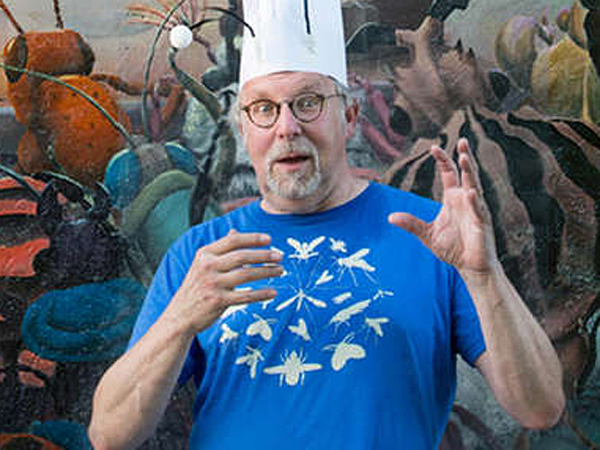 Gordon, who lives in Seattle and gives buggy cooking demonstrations nationwide, will be in town for the academy’s annual Bug Fest, which for the weaker of heart – or palate – also will have bugs that visitors can merely touch or just observe in all their wiggliness.